Soon there will be a killing. It might happen in the next few hours. We could synchronize our watches and count down the minutes. What a chance to record the ticking away of a life, to follow it through to that last, perfect moment, when existence becomes nothing, when the spirit parts with the physical. The end is always so close, isn’t it? Fate lurks beneath our feet like a rat in a sewer. It hangs in a corner of the room like a spider in its web, awaiting its moment. And the moment of our dying already exists inside us, deep inside. It’s a dark ghost on the edge of our dreams, a weight that drags at our feet, a whisper in the ear at the darkest hour of the night. We can’t touch it or see it. But we know it’s there, all the same. But then again … perhaps I’ll wait, and enjoy the anticipation. They say that’s half the pleasure, don’t they? The waiting and planning, the unspoiled thrill of expectation. We can let the imagination scurry ahead, like a dog on a trail, its nostrils twitching, its tongue dribbling with joy. Our minds can sense the blood and savour it. We can close our eyes and breathe in the aroma. I can smell it right now, can’t you? It’s so powerful, so sweet. So irresistible. It’s the scent of death. Footsteps approached in the corridor. Heavy boots, someone pacing slowly on the vinyl flooring. Here was a man in no hurry, his mind elsewhere, thinking about his lunch or the end of his shift, worrying about the twinge of pain in his back, a waistband grown too tight. An ordinary man, who rarely thought about dying. The footsteps paused near the door, and there was a rustle of papers, followed by a moment’s silence. An aroma of coffee drifted on the air, warm and metallic, like the distant scent of blood. As she listened to the silence, Detective Sergeant Diane Fry rubbed at the black marks on her fingers with a tissue. The fax machine invariably did this to her. Every time she went near the damn thing, the powder ended up on her skin. There always seemed to be a spill from a cartridge, or fingerprints left on the casing. But tonight she felt as though she were trying to wipe a much darker stain from her hands than fax toner. But she didn’t expect a reply. It was only a tactic to delay reading the rest of the transcript. Fry scraped at her fingers again, but the marks only smeared and sank deeper into her pores. She would need soap and a scrubbing brush later. On the other side of the desk, Detective Inspector Paul Hitchens waited patiently, rotating his swivel chair, smiling with satisfaction at a high-pitched squeal that came from the base at the end of each turn. Fry sighed. Waiting for her in the CID room was the paperwork from several cases she was already up to her neck in. She was due in court tomorrow morning to give evidence in a murder trial, and there was a conference with the Crown Prosecution Service later in the day. She didn’t have time to take on anything else, as her DI ought to know. She’d also slept badly again last night. Now, at the end of the day, her head ached as if steel springs had been wound tight across her forehead and driven deep into the nerves behind her eyes. A growing queasiness told her that she ought to go home and lie down for a while until the feeling passed. No, there’ll be none of that sort of mess. Not this time. That’s the sign of a disorganized brain, the surrender to an irrational impulse. It’s not my kind of killing. My killing has been carefully planned. This death will be a model of perfection. The details will be precise, the conception immaculate, the execution flawless. An accomplishment to be proud of for the rest of my life. Transcription note: brief pause, laughter. A cold worm moved in Fry’s stomach. She looked up from the faxed sheets, suppressing a feeling of nausea that had risen as she read the last sentence. ‘I need to hear the original tape,’ she said. Hitchens turned to look at her then. He smoothed his hands along the sleeves of his jacket, a mannerism he’d developed over the past few weeks, as if he were constantly worrying about his appearance. Tonight, he looked particularly uncomfortable. Perhaps he wasn’t sleeping well, either. When the footsteps outside the door moved on, Fry followed their sound and let her mind wander the passages of E Division headquarters – down the stairs, past the scenes of crime department, the locked and darkened incident room, and into a corridor filled with muffled, echoing voices. By the time the sounds had faded away, her thoughts were aimless and disoriented, too. They were lost in a maze with no way out, as they so often were in her dreams. Fry regarded the DI curiously. Despite his faults as a manager, she knew he had good instincts. If Hitchens had heard the tape and thought it should be taken seriously, she was inclined to believe him. The printed words on the page weren’t enough on their own. The caller’s real meaning would be captured in the sound of his voice, the manner of his speech, in the audible layers of truth and lies. ‘He seems to be hinting that he’s killed before,’ she said. With a nod, Hitchens began to smooth his sleeve again. He had strong hands, with clean, trimmed fingernails. A white scar crawled all the way across the middle knuckles of three of his fingers. ‘He could turn out to be an interesting psychological case for someone to examine,’ he said. The DI’s voice sounded too casual. And suddenly Fry thought she knew why he was looking so uncomfortable. She shook her head in frustration. So some chief officer at Derbyshire Constabulary HQ had got wind of the phone call and decided to interfere. That was all she needed. She pictured one of the ACPO types in his silver braid strolling through the comms room at Ripley, demonstrating his hands-on approach to visiting members of the police committee, hoping they’d remember him when promotion time came round. ‘Now, that’s where you’re wrong,’ said Hitchens. He pulled an embossed business card from the clip holding the case file together. As she took the card, Fry noticed that it was a pretty slim file so far. But it wouldn’t stay that way, once reports from the experts started thumping on to her desk. The list of accredited experts and consultants had recently been updated. Someone had wielded a new broom and put his own stamp on the list, bringing in people with fresh ideas. Fry took note of the ‘we’. She made a show of writing down Dr Kane’s details before handing back the card. If the psychologist turned out to be fat and forty, or a wizened old academic with grey hair in a bun, Fry suspected that she’d become the liaison officer, not Hitchens. She stood up and moved to the window. The view of Edendale from the first floor wasn’t inspiring. There were rooftops and more rooftops, sliding down the slopes to her right, almost obscuring the hills in the distance, where the late afternoon sun hung over banks of trees. Whoever had designed E Division’s headquarters in the 1950s hadn’t been too worried about aesthetics. Or convenience either. The public were deterred from visiting West Street by the prospect of an exhausting slog up the hill, and the lack of parking spaces. Because of its location, Fry missed the sensation of normal life going on outside the door. There had always been that feeling when she served in the West Midlands – though maybe not since they’d started building their police stations like fortresses. ‘You haven’t finished the transcript,’ said Hitchens. Fry bit her lip until the pain focused her mind. Of course, even in Derbyshire, all the darkest sides of human experience were still there, hidden beneath the stone roofs and lurking among the hills. This was the smiling and beautiful countryside, after all. The transcript was still in her hand. Holding it to the light from the window, she turned over to the last page. The DI was right – there were only three more paragraphs. The caller still wasn’t giving anything away about himself. But she could see why somebody had thought of calling in a psychologist. Detective Constable Ben Cooper watched the dead woman’s face turn slowly to the left. Now her blank eyes seemed to stare past his shoulder, into the fluorescent glare of the laboratory lights. The flesh was muddy brown, her hair no more than a random pattern against her skull, like the swirls left in sand by a retreating tide. Cooper was irrationally disappointed that she didn’t look the way he’d imagined her. But then, he’d never known her when she was alive. He didn’t know the woman now, and had no idea of her name. She was dead, and had already returned to the earth. But he’d formed a picture of her in his mind, an image created from the smallest of clues – her height, her racial origins, an estimate of her age. He knew she had a healed fracture in her left forearm. She’d given birth at least once, and had particularly broad shoulders for a female. She’d also been dead for around eighteen months. 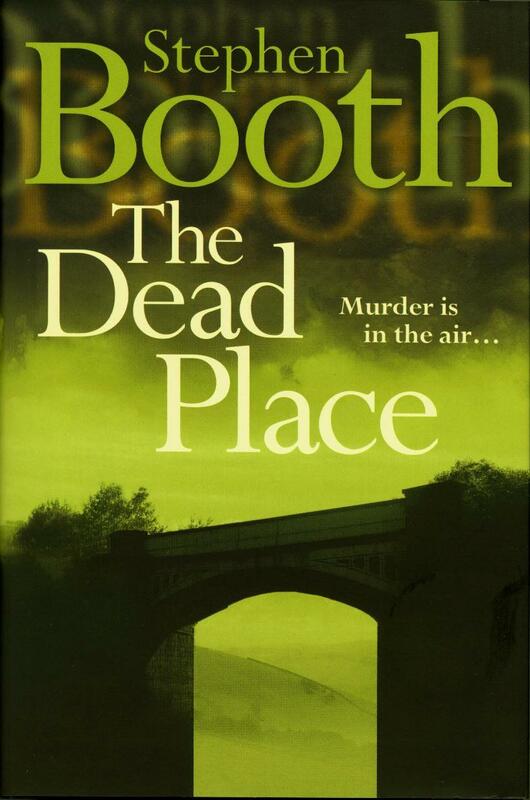 There had been plenty of unidentified bodies found in the Peak District during Cooper’s twelve years with Derbyshire Constabulary. Most of them had been young people, and most of them suicides. In E Division, they were generally found soon after death, unless they were dragged from one of the reservoirs. But this woman had been neither. In profile, the face was cruelly lit. Shadows formed under the cheekbones and in the eye sockets. Creases at the corners of the eyes were picked out clearly in the lights. He could see now that it was a face with a lot of character, marked by life and formed by experience. A woman in her early forties. Someone’s daughter, and someone’s mother. But the human remains found by walkers in the woods at Ravensdale had lain there a long time, exposed to the weather and the attention of scavengers. The body had decomposed beyond recognition. It had begun to disappear under the growth of moss and lichen, its shape concealed by the blades of coarse grass that had grown through the eyes of the skull. The head continued to rotate. It travelled through three hundred and sixty degrees, revealing the back of the neck then the opposite profile, finally coming to a halt facing forward again. Suzi Lee had cropped dark hair and long, slender hands. She was a forensic artist who worked with the Pathology department at Sheffield University . Cooper watched her fingers stroke the sides of the reconstructed head, as if feeling for the shape of the skull that lay beneath the clay. ‘It was a silly question,’ said Cooper. She showed him a series of photographs of the skull, first with tissue depth markers glued to the landmark locations, then with a plasticine framework built up around them. The numbers of the markers still showed through the plasticine like a strange white rash. ‘Let’s hope it’s good enough to jog someone’s memory, anyway,’ said Cooper. ‘Pretty much,’ said Cooper. But it wasn’t entirely true. He still remembered the partially fleshed fingers, the thin strips of leathery tendon attached to the bones. Some parts of the woman’s body had clung together stubbornly, long after her death. Cooper looked at the file he’d been holding under his arm. It contained a copy of the forensic anthropologist’s report in which the dead woman had been assigned a reference number. This was her biological identity, all that was officially known about the person she had once been. A Caucasian female aged forty to forty-five years, five feet seven inches tall. The condition of her teeth showed that she’d been conscientious about visiting the dentist. There would be useful records of her dental work somewhere, if only he knew which surgery to call on. But perhaps it was the detail about the width of her shoulders that had given him his mental picture of the dead woman. He imagined the sort of shoulders usually associated with female swimmers. By the age of forty-five, after at least one pregnancy, her muscles would have become a little flabby, no matter how well she looked after herself. Living, she might have been generously built. A bonny lass, his mother would have said. Cooper nodded. A reconstruction couldn’t be used as proof of identification, but it did act as a stimulus for recollection. The accuracy of the image might not be as important as its power to attract media attention and get the eye of the public. Any ID would have to be confirmed from dental records or DNA. Cooper accepted a set of photographs from her and added them to the file. It immediately felt thicker and more substantial. Reference DE05092005, also known as Jane Raven Lee, five feet seven, with shoulders like a swimmer. A bonny lass. ‘Thank you, you’ve been a big help,’ he said. But as he left the laboratory and went out into the Sheffield drizzle, Cooper wondered if he was imagining too much flesh on the unidentified woman now. It could be an emotional reaction to compensate for what he had actually seen of her, those last few shreds of skin on the faded bones. Her biological identity had been established, at least. Now the anthropologist and the forensic artist were passing the responsibility back to him. He had to find out who Jane Raven really was. Twenty-five miles away, in the centre of Edendale, Sandra Birley had stopped to listen. Were those footsteps she could hear? And if so, how close? She turned her head slowly. Echoey spaces, oil-stained concrete. A line of pillars, and steel mesh covering the gaps where she might hurl herself into space. A glimpse of light in the window of an office building across the road. But no movement, not on this level. Sandra clutched her bag closer to her hip and followed the stairs to the next level. At night, multi-storey car parks were the scariest places she knew. During the day, they were made tolerable by the movement of people busy with their shopping bags and pushchairs, fumbling for change, jockeying for spaces amid the rumble of engines and the hot gust of exhaust on their legs. But after they’d gone home, a place like this was soulless and empty. Drained of humanity, even its structure became menacing. She pushed at the door to Level 8, then held it open for a moment before stepping through, her senses alert. Not for the first time, Sandra wondered whether she ought to have worn shoes with flatter heels, so she could run better. She fumbled her mobile phone out of her bag and held it in her hand, gaining some reassurance from its familiar feel and the faint glow of its screen. This was a night she hadn’t intended to be late. A last-minute meeting had gone on and on, thanks to endless grandstanding from colleagues who wanted to show off, middle managers who didn’t want to be seen to be the first going home. She’d been trapped for hours. And when it was finally over, the Divisional MD had taken her by the elbow and asked if she had a couple of minutes to go over her report. Why hadn’t he taken the trouble to read it before the meeting? But then, why should he, when he could eat into her personal time, knowing that she wouldn’t say no? Her blue Skoda was parked at the far end of Level 8. It stood alone, the colour of its paintwork barely visible in the fluorescent lights. As she walked across the concrete, listening to the sound of her own heels, Sandra shivered inside the black jacket she wore for the office. She hated all these ramps and pillars. They were designed for machines, not for humans. The scale of the place was all wrong – the walls too thick, the roof too low, the slopes too steep for walking on. It made her feel like a child who’d wandered into an alien city. The mass of concrete threatened to crush her completely, to swallow her into its depths with a belch of exhaust fumes. And there they were, the footsteps again. Sandra knew the car park well, even remembered it being built in the eighties. Some feature of its design caused the slightest noise to travel all the way up through the levels, so that footsteps several floors below seemed to be right behind her as she walked to her car. She’d experienced the effect many times before, yet it still deceived her. When it happened again tonight, Sandra couldn’t help turning round to see who was behind her. And, of course, there wasn’t anyone. Every time she heard the sound of those footsteps, she turned round to look. And every time she looked, there was no one there. Every time, except the last. Wasn’t it Sigmund Freud who said that every human being has a death instinct? Inside every person, the evil Thanatos fights an endless battle with Eros, the life instinct. And, according to Freud, evil is always dominant. In life, there has to be death. Killing is our natural impulse. The question isn’t whether we kill, but how we do it. The application of intelligence should refine the primeval urge, enrich it with reason and purpose. Without a purpose, the act of death has no significance. It becomes a waste of time, a killing of no importance, half-hearted and incomplete. Too often, we fail at the final stage. We turn away and close our eyes as the gates swing open on a whole new world – the scented, carnal gardens of decomposition. We refuse to admire those flowing juices, the flowering bacteria, the dark, bloated blooms of putrefaction. This is the true nature of death. We should open our eyes and learn. But in this case, everything will be perfect. Because this will be a real killing. And it could be tonight, or maybe next week. But it will be soon. I promise.